The Royals recently placed their star closer Wade Davis on the 15-day disabled list for a “flexor strain” in his elbow. This is the second time he’s had the same issue. While it may be as common as a hamstring or hip flexor strain, a flexor strain can be a big deal and in some cases, indicate an “impending storm” of trouble for a pitcher. The baseball pitch is the fastest motion a human can do. At the shoulder during acceleration of the throw, forces reach upwards of 7000° per second (Seroyer et al, Sports Health 2010). Of course, no joint acts in isolation and all muscles from the legs, trunk, shoulder and elbow must resist and slow down these forces. 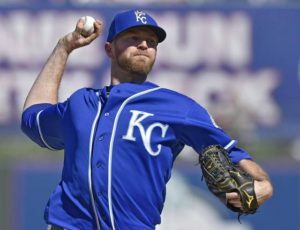 So what’s a flexor strain and why is this a big deal for Wade Davis? The forearm or wrist flexors move the wrist into flexion as well as pronation, which is turning the wrist over (think tightening a screw). For a pitcher, they are vitally important to protect the medial side of the joint. They largely act as the “brakes” for the elbow during the pitch. As stated above. the forearm or wrist flexors protect the medial or inside part of the elbow. Specifically, they protect the ulnar collateral ligament (UCL), or the famed “Tommy John” ligament by being a dynamic stabilizer of the elbow during pitching (Werner et al, JOSPT 1993). The flexor muscles are very active during the acceleration and deceleration phases of the pitch. Other researchers found that with fatigue, these muscles are even more active (Wang et al, J Sport Sci 2016). Even though Wade Davis is a closer, the Royals have had a couple long seasons recently and well, it’s hot at this time of year. Athletes get tired. The troubling aspect of this though is it’s the second time in a month he’s been on the DL for this. Should Royals fans be worried? It appears from the Royals that Wade Davis’ elbow looked fine otherwise on MRI. However, in cases where an athlete has UCL damage, the muscles are working that much harder to stabilize the elbow during the throw since the ligament is not doing its job. So yes, it could be a warning sign of trouble, but in this case, it doesn’t appear to be a huge deal for him. No question though, there is reason to be concerned given he’s had it twice recently. Here’s a good read on the Wade Davis injury from ESPN’s injury analyst Stephania Bell. Flexor strain rehab is pretty boring to be honest. Very uneventful. Truthfully, the best part about the 15-day DL for him is just rest. 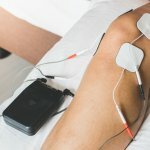 Depending how tender or inflamed he is, they may use modalities like iontophoresis, ice, or laser treatments to reduce pain. He’ll probably have some light strengthening exercises as well as stretching exercises for the forearm flexors. Soft tissue massage will probably be utilized as well to further help with pain and to facilitate a healing environment for the muscles. To compliment his elbow rehab, he’ll likely continue leg and cardio exercises to stay in shape in addition to rotator cuff and scapular muscle strengthening. The stronger the shoulder and scapular muscles are, the less stress on the elbow. We expect a full recovery for this injury that Wade Davis is battling to help finish the season. As we’ve said on several blogs, no athlete gets better during the season – often times, you get “good enough” and really rehab in the off-season. Hopefully, this helped your understanding of Wade Davis’ injury. 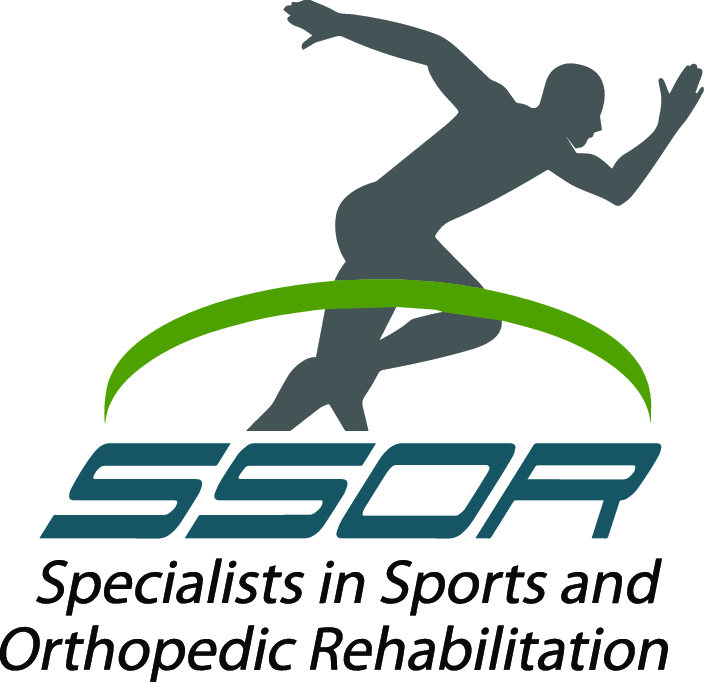 If you’re battling injury, give the PT’s at SSOR a call. It would be a privilege to serve you and partner with you in your care. Remember, you can see a physical therapist in Kansas without a physician referral. We have locations in Overland Park & Prairie Village to serve you.